Ancient evidence reveals that the earliest, written translation of the Bible in Greek was completed in Alexandria in 281 BCE, probably by 71 scholars, invited especially from Judaea by Ptolemy II. 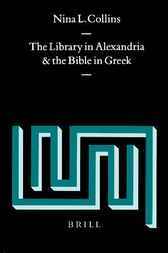 The work was organised by Demetrius of Phalerum, the trusted librarian of Ptolemy II, and the translation was made despite Jewish opposition and the project's high cost. Ptolemy wanted the translation to increase his famous library, to attract scholars to Alexandria and to start his reign with an impressive event. The date of the translation, early in the reign of Ptolmey II, shows that the library was built by ptolemy Lagus, and that Demetrius of Phalerum was first placed in charge.